Spring Fever? Let’s visit Keukenhof in Holland! Have a bad case of Spring fever? Let’s go to Holland! Ok, maybe we all can’t hop on a plane. But we can take a video visit to Keukenhof! 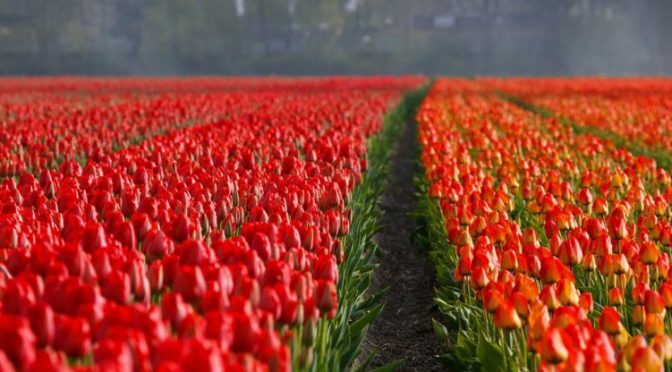 During this journey, we will experience the gorgeous views of Dutch tulips in bloom. Keukenhof is the most famous and largest flower park in the world and lies not far from Amsterdam. Tulips from Holland are world famous. If seeing the Dutch tulip fields in bloom is on your bucket list, visit Holland in April and May. This is the same period in which the biggest flower park in the world, opens its doors. 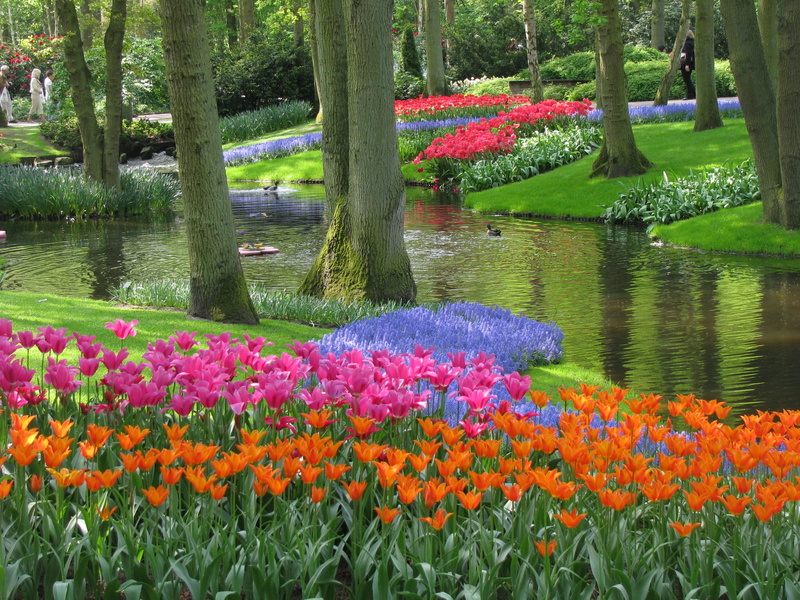 Keukenhof gardeners plant over 7 million flower bulbs every year. Gardens and four pavilions show a fantastic collection of tulips, hyacinths, daffodils, orchids, roses, carnations, irises, lilies and many other flowers. The garden, established in 1949, exhibits hybrids from growers all over the Netherlands and Europe. Many different types of gardens and styles are featured. We can stroll through an English garden, a Japanese garden and a water garden. The spectacle of colors and scents will delight you. Whether you are new to houseplants, or have a tendency towards killing anything you bring home, have we got a plant for you. 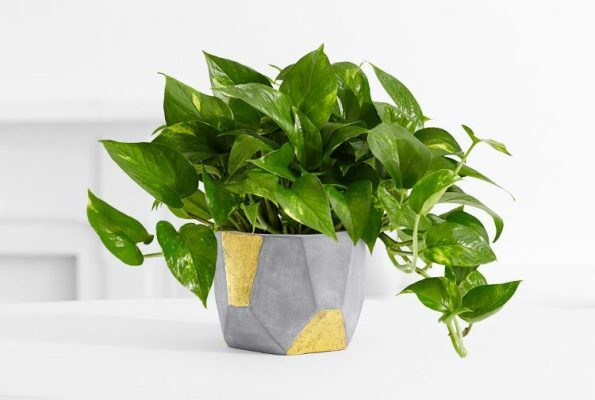 Pothos, or Epipremnum aureum, is a lovely plant that is probably the easiest houseplant to grow. You have probably seen them in dorm rooms, offices, or even tropical locations like steamy bathrooms. Speaking of tropical, you might have even seen a few whose trailing vines have grown to 10, 20 or even 30 feet long. They are not a terribly finicky plant as they tolerate low light and lax watering habits. They are perfect for those of us who are too busy, or consider ourselves non-plant people. It is a great plant for those looking to find fulfillment caring for houseplants. 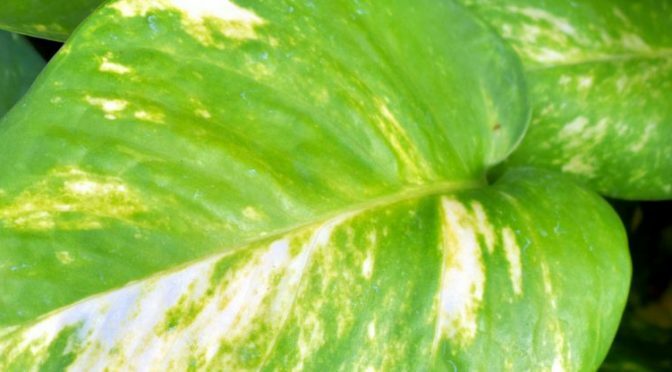 Pothos plants do well in ordinary, well-draining potting soil. They tolerate low natural light (even growing under fluorescent lights), or shady spots in a warm-weather garden. Ideal is bright, indirect light. You should let the plant dry out between waterings as too much water will rot the roots. Due to their trailing habits, Pothos are a great way to get trendy by growing yours in a cool macrame hanger. Want another reason to pick up this popular plant? They are an air purifier removing harmful chemicals. So if you are looking for a starter plant, or just a plant that’s as easy to care for as it is easy on the eyes, bring one or two home today! Maybe it’s time to break up with your roses. Every year it’s the same… the snow melts and the rose bush in your garden that has been lying dormant all winter springs to life with the hope and promise of summer. You gently lie your soaker hose under it, and comment how lovely it is looking this year. It flirts with the unfurling of tender, green leaves, and soon colorful little buds are sprouting. You give it a sidelong glance…you think this time it will be different. However, by mid-summer it’s the same story. You’ve mulched, you’ve watered – taking special care not to dampen the leaves, but one day you see it: the dreaded spot. And by mid-summer the rose bush that you were certain would be a blushing beauty, looks more look more like a sad, spindly bundle of sticks with a few dried out buds and some black-spotted leaves hanging on for dear life. Where did you go wrong? Anyone who has devoted their time and attention to cultivating roses knows they have the reputation of being a bit touchy. Typically, if you see a rose plant with full, lush foliage and heaps of blooms all summer, it has probably had a fair share of coddling to get that way, and even then, they are susceptible to a number of maladies. The main thing to remember is you shouldn’t blame yourself. Sure, it would be great to be one of those people who can grow magnificent roses. Fact is, you probably are one of those people. That’s right, it’s time to confidently declare that you, yes you, can grow a great rose. It’s easy – when you start with the right plant. All of the plants that carry the Proven Winners® ColorChoice® name go through rigorous trials before they reach your favorite garden center. Roses, especially, are subjected to a gauntlet of challenges to make sure they merit inclusion in your garden. The process starts by growing the roses in containers in a greenhouse. They are never sprayed with fungicides. They are overhead watered each day, and kept in the same container for 2-3 years until they’re so stressed that most of them succumb to disease. Survival of the fittest. Only if they’ve made it through the first 3-4 years of the trial with clean, disease-free foliage, vigorous growth, and abundant flowers do they make it to the next phase. On average, the process takes ten years. Though hundreds upon hundreds of rose selections have gone on the trash heap in these trials, fifteen have been deemed worthy of introduction and have been honored with 32 prestigious awards. One such success story is At Last® rose. Available in garden centers this year, At Last rose was one of the few that proved itself in these rigorous trials. It was chosen for its superb disease resistance and ability to continuously bloom all season long, combined with a rich spicy fragrance that, until now, has never been found in a disease resistant rose. 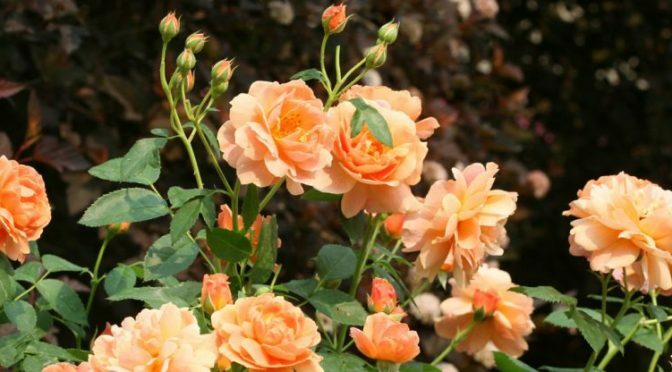 At Last roses never fail to impress with a season-long display of large, sweetly perfumed, sunset-orange blossoms complimented by handsome, glossy foliage. Blooming from late spring through frost with a vigorous, rounded habit, this no-nonsense beauty is ideal in any landscape or flower garden. Rigorously trialing plants is hard work and time consuming, but it is also rewarding to be able to introduce beautiful, easy care varieties like Oso Easy® roses. With the broadest color range of any landscape rose, all 12 varieties are dressed for success with an impressive display of non-stop color. Oso Easy roses also boast surprising hardiness (some varieties thrive down to USDA zone 3) and are strong rebloomers with dark green, glossy foliage and exceptional disease resistance – plus their tidy habits make them ideally suited to all your gardening and landscaping needs. 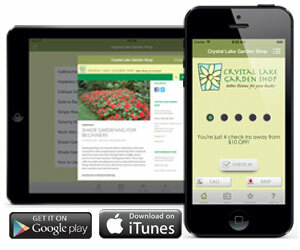 Still not sure you have time to take care of rose plants? Low maintenance is the hallmark of Oso Easy and At Last roses – they are self-cleaning, meaning their petals fall off when the flowers fade, instead of turning brown and withering on the plant. That’s right, they require no deadheading or pruning, just give these roses at least 6 hours of sun a day and regular watering, and they’ll give you year-after-year of natural, easy-care beauty all season long. Sounds like a match made in heaven.